The initial quilt I was intending to make was a multicoloured scrappy quilt, designed to use up all your little bits and pieces of fabric. Since I have only just begun collecting patchwork fabrics and my stash is fairly small, the credit card alarm bells soon rang loud and clear. So what to do? 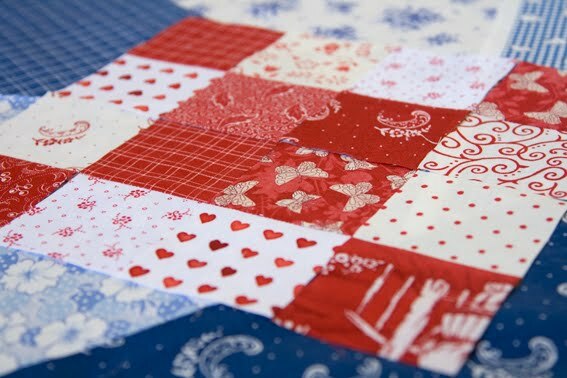 Make another quilt design that uses a smaller range of fabrics! I found one I liked – one that I already had lots of suitable fabric for – in Australian Homespun magazine. It is called ‘Road to Oklahoma’ by Rosalee Clark, and uses the very patriotic colours of red, white and blue. Since our New Zealand flag is also red, white and blue, the patriotic colours still apply here down under! 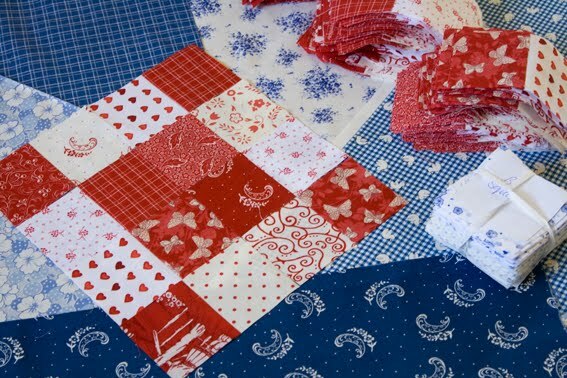 Plus, I love traditional red and white quilts, as well as blue and white quilts, and when you can’t decide between the two….. This, of course, meant another trip to Cushla’s Village Fabrics to pick up a few extra fat quarters – this time without dear son! 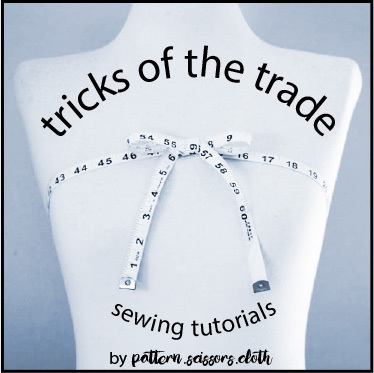 I also treated myself to a rotary cutter, which I am so pleased I purchased as the cutting time is much reduced with this tool – don’t even think about using shears! And of course I had to get stuck in as soon as I got home! I’ve cut all the red strips, pieced them by machine, and crosscut them into 336 segments. Now they are ready to assemble into blocks, and I’ve started cutting the blue fabrics. There is an potentially disastrous error in the instructions. Just in case you happen to be making this quilt too, in step 10 you should be working with squares A and B, not squares C and D. But otherwise the instructions are very clear to me – although I am an experienced sewer, this is my first actual quilt! I can’t wait to see how it all comes together, and to begin the hand quilting! Great colous, looking forward to your progress. Hand quilting is the part I like best about quilts. I like how the bright colours contrast with the delicate way you've put the pieces together! It's looking really good. I have always wanted to try my hand at a quilt but I worry I'll never finish it.